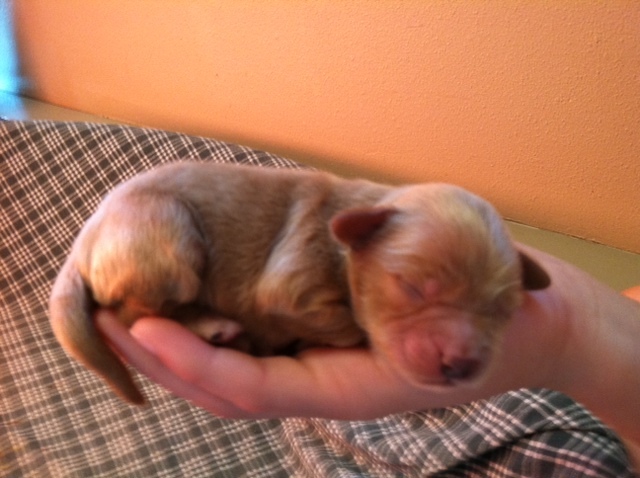 Goldie’s Summer 2012 Litter is Here! Born on the Third of July! 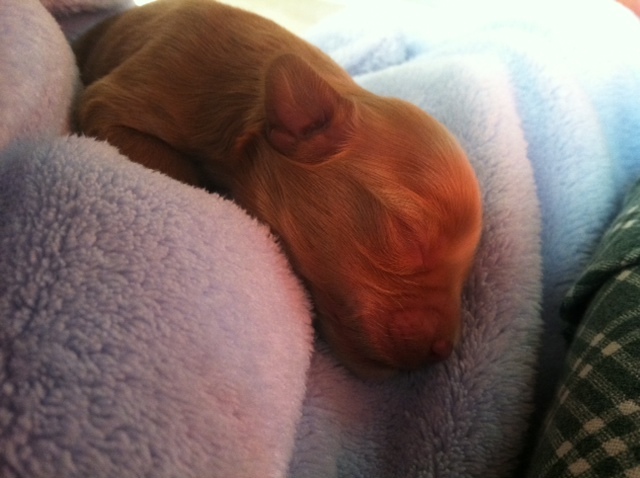 Goldie gave birth to four healthy, rolly-polly pups on the afternoon of July 3rd. 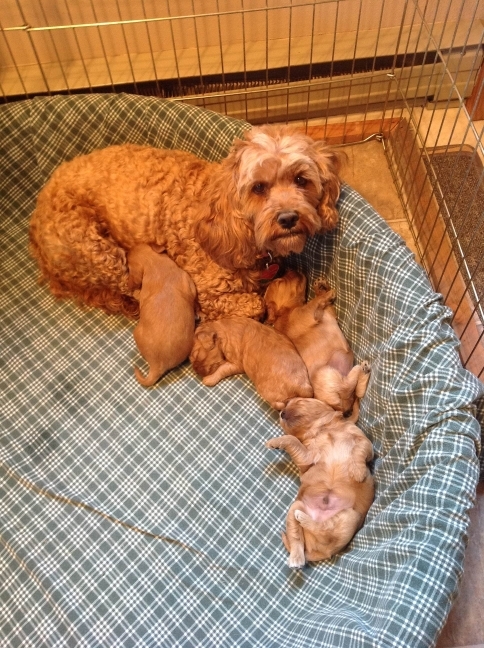 In keeping with tradition, the kids named them (can’t have kids and unnamed puppies, you know). They are Sparky, America, Rocket and Liberty. Sparky and Liberty are reds, like their mother. 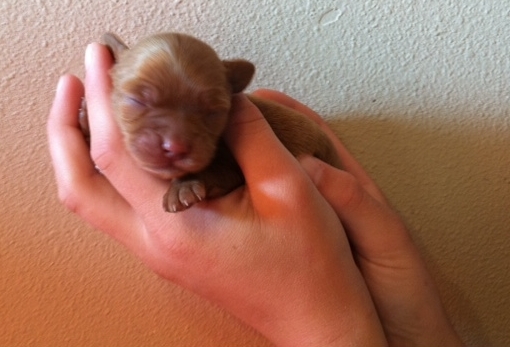 Rocket and America are a little lighter apricot, like Saucy, the sire.